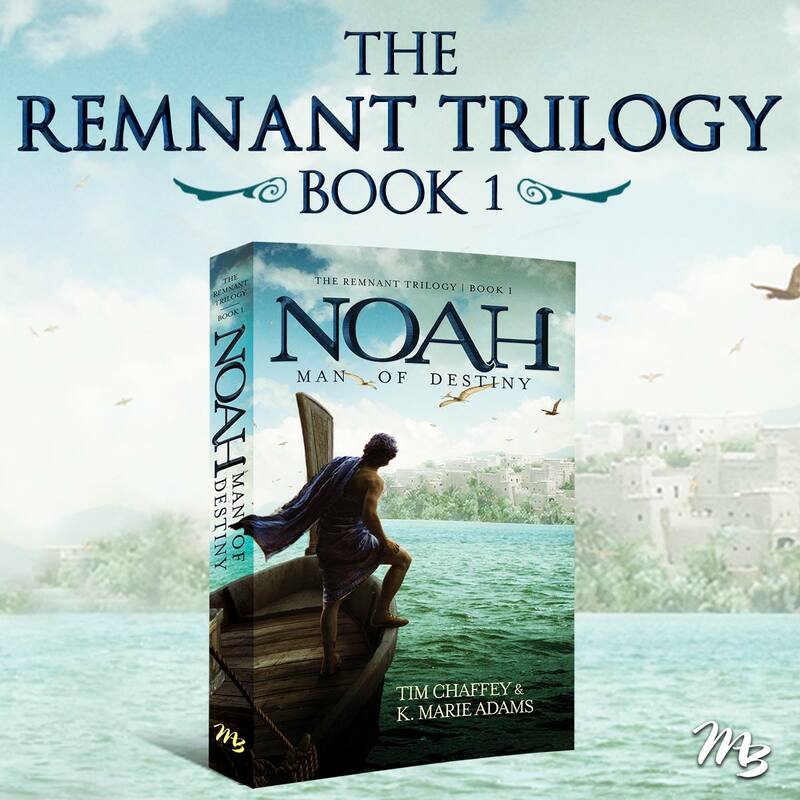 Recently, I've had the opportunity to read the first two books in The Remnant Trilogy by Tim Chaffey and K. Marie Adams. What fun! The basic idea of the series is to present an obviously fictional account of Noah -- yes, that Noah -- from before the flood. Since we learn practically nothing about his first years in the Bible, there is not a whole lot to go on. In general, I worry about this whole idea, especially with biblical characters. This story does work for me though. The first book is Noah: Man of Destiny. The book is described as a coming--of-age story, and that is a great description. Noah is approaching the age where he is considered to be a man, his Rovay, which happens at age 40. He works with his family, farming, but sneaks off to do various woodworking activities every chance he gets. He ends up getting the opportunity to go learn the craft he loves, but that means leaving home and learning a lot more about the world. The Bible does tell us that Noah was righteous. The Bible also tells us that the world was pretty wicked in those days. I don't know about you, but I don't often stop and think about those two facts together. What would it have been like for a young Noah to make his way as he is trying to find his place in the world? That's basically what this book addresses, with an emphasis on how this could be how things were. 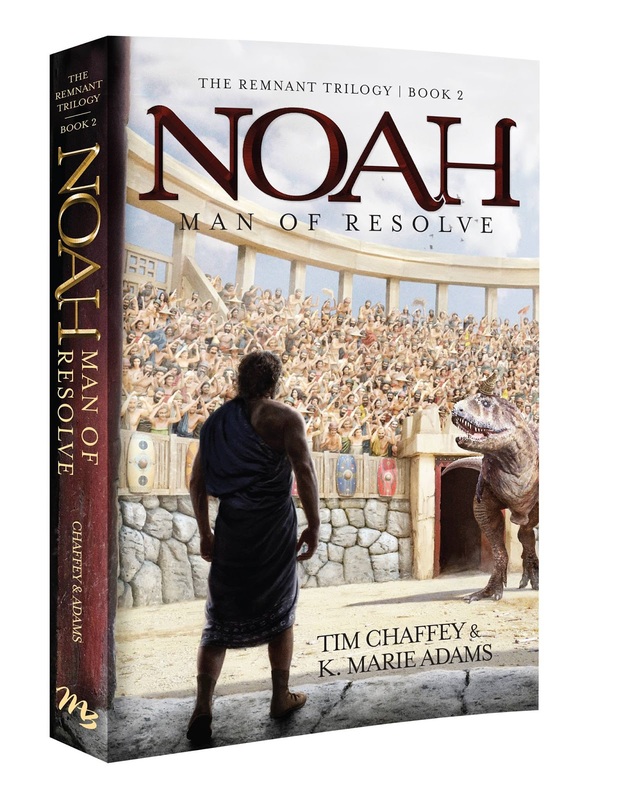 Noah: Man of Resolve is the second book in the trilogy. Picking up where Man of Destiny leaves off, we get to continue as the world just gets even more wicked, and Noah finds himself struggling with his faith. This book continues to bring out some thought-provoking concepts about living right in an environment of evil. The coolest part is at the end, where there is a final section talking about what we do know from the Bible and why the authors made the choices they did. Such as why thy chose 40 as when you would cross from childhood to adulthood. I do look forward to Book 3. I'm excited to talk a bit about a book I read this weekend. 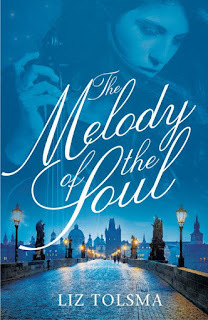 The Melody of the Soul by Liz Tolsma was a fantastic look into life in Prague during World War II. I haven't been doing all that many book reviews lately, but with as much as I loved Daisies are Forever, I knew I had to get in on this one too. 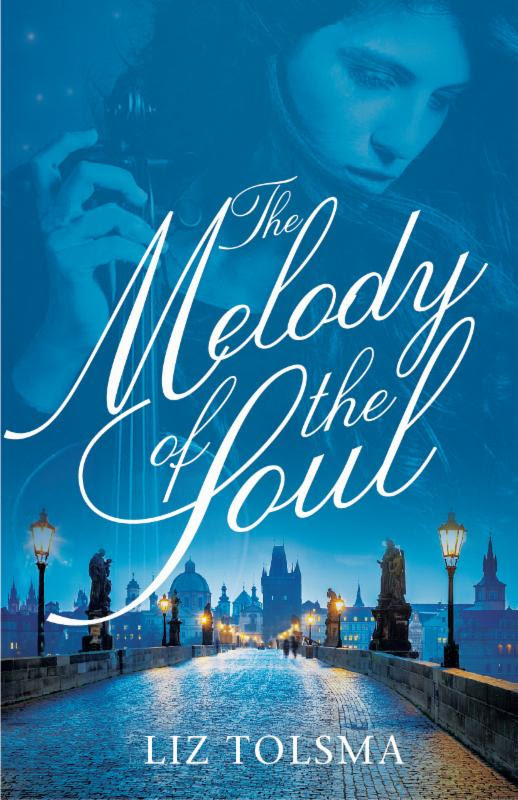 The book is set in Eastern Europe during World War II. I did not want to put this down! I had to, but I didn't want to! The characters are all so fascinating. Of the characters who have more than a couple lines of dialogue, all but one are wonderfully complex. The main "bad guy" is pretty thoroughly bad, with virtually nothing at all that ever makes you think "maybe he isn't completely awful." Everyone else, though, seems like a real person, where you see a mix of good and bad, faults and virtues, and real life experiences coloring how they react to the events of the story. Reading through the book, there were points I wanted to slap some sense into even the most likeable characters. The best part of the book for me was in the final pages, where Tolsma talked about how her story lined up with actual history. Especially the idea of music being a savior. That bit really hit home. I absolutely have had points in life where I turn to music when I should be turning to Christ. That part left me thinking. Her books always leave me thinking. Check out this fun giveaway! 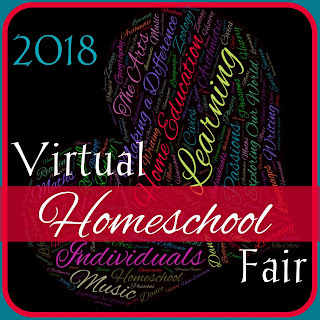 Time for week 2 in this year's Virtual Homeschool Fair hosted by Susan @ Homeschooling Hearts & Minds. This week we are all talking about Our Method of Homeschooling. 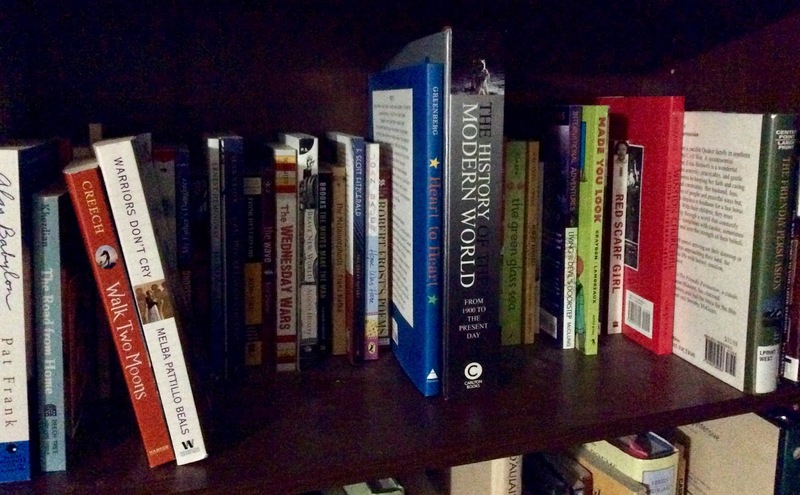 I've called our homeschool method a lot of different things, but Lit-Based Education seems to sum it up best. When we started seriously looking at homeschooling, we attended a small homeschooling fair event in Colorado Springs. That was early in 1999, and until we went there, I had no idea that there actually was curriculum designed for homeschoolers. I assumed that in order to provide the type of education I wanted, I was going to be creating it all pretty much from scratch. At that event, there was a booth for Sonlight, run by a family that included Mom, Dad and a boy of about nine. I think there was a younger child there too, but those were the three who were actually talking with those of us who were browsing at the fair. I was pushing Connor in a stroller, and Dale was wearing William in a Snugli. Both parents were busy with "real" customers when we got to the table, and they had Basic 3 (now called something like Core D) laid out on the table. I was mentally oohing and aahing over all the amazing books when the 9-year-old asked me if I had any questions. So, I asked him how this Sonlight thing worked. He proceeded to show me the Instructor Guide, talk about all the amazing literature, point out how easy it was for his mom to teach, and generally just completely blow me away with how enthused he was about history, and how he was intelligently conversing with strange adults. And I read it cover to cover, multiple times, over the next few weeks. Usually in the middle of the night, while nursing William. We used Sonlight very faithfully for the next decade, but I found myself trying some other things too. Did a bit of classical, tried unit studies, did some textbook... and kept finding myself being pulled to more literature-rich approaches. One big discovery while doing classical types of things was the book Latin-Centered Curriculum by Andrew Campbell. First off, that book freed me from the idea that classical education is defined as a 4-year chronological approach to history. Second, he highly encourages reading aloud. A lot. The biggest take-away, for me, was the idea of multum non multa. Basically, that means quality, not quantity. We don't have to read every classic, we don't have to read every modern classic, and we don't have to learn every detail of history. What we need to do is to do a few things well. And read aloud a lot, without dissecting every piece of literature we cover. A book a couple of years ago, The Eternal Argument by Robin Finley, pushed me into defining our style as lit-based. It was emphasizing the need for discussion-based approaches, and I recognized that discussion was exactly what one of my kids desperately needed. We are back to Sonlight for a lot of our schooling. William is working through Core 300, 20th Century History, and even though he is in high school, mostly I read the books aloud and we discuss them as we go, or he/we listens to an audiobook and we discuss them a whole lot. A few books, he reads himself and we discuss. He is severely dyslexic, and reading isn't a strength. That means that we find alternate methods when readily available, and he reads when necessary. Richard and Trina are doing Core G, World History, though that is going rather slowly. And of course, we had to grab some other favorites too, like D'Aulaire's Greek Myths. The big difference with us as far as Sonlight now versus Sonlight fifteen years ago is that I no longer stress about reading all the books, nor about doing all of the included discussion questions. Some books we just skip entirely. 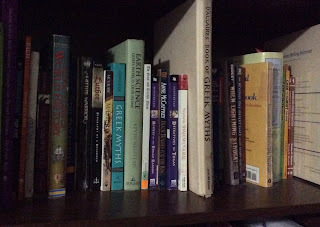 Some books we read and talk about, but I never look at the included assignments or discussion questions. Sonlight chooses great books, they really do. But we don't have to read them all to be "well read" and we certainly do not have to analyze them all either. This means a lot of great books, and a whole lot of discussing the situations the characters find themselves in and what we think the author got right about a time period and what wasn't quite so authentic sounding. When it comes to science, we make it a point to read at least one biography of a scientist for some perspective on the human side of great scientific discoveries. 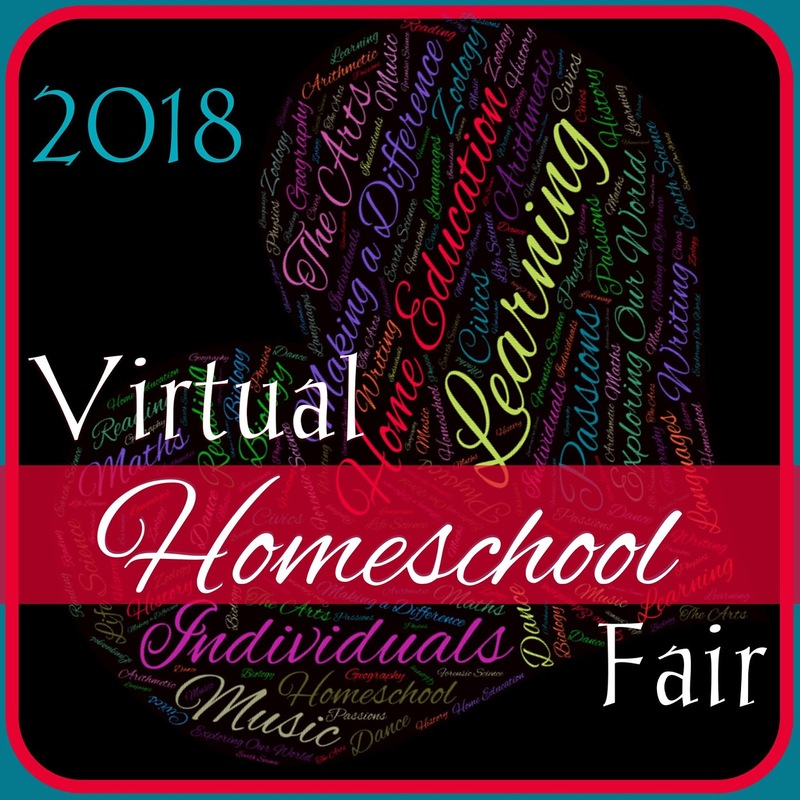 I am hoping that I will succeed in truly participating in this year's Virtual Homeschool Fair hosted by Susan @ Homeschooling Hearts & Minds. This week we are all talking about The Reasons We Homeschool. As I thought about this topic, I was reminiscing a bit about the reasons we started homeschooling, and the reasons we continue to do so. If I could go back and have a cup of coffee with the me of fifteen to twenty years ago, I am pretty sure I'd be rolling my eyes a bit about her idealistic view of homeschooling. But I'd also find myself saying, "Yes! Hang onto that!" as she talked about why she was homeschooling. We actually made the decision to homeschool before 1998. I chose 1998 because it is a nice, even 20 years, and because I made my first homeschool purchase that year, and attended my first homeschool event too. Back in 1996 or so, Dale was listening to a local radio talk show, where the host was interviewing people about homeschooling. After listening to this week-long series, he concluded that we were going to homeschool. I agreed, but mostly because I didn't think we'd ever have kids. "Sure, we can homeschool our non-existent kids. Whatever you say." 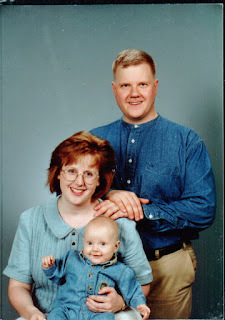 This is our family about the time I was coming to grips with homeschooling. In 1997, that changed with the birth of Connor. In 1998, William came along, and I lost my job while on maternity leave. That was the point where I did finally own that decision to homeschool. The reasons we decided to homeschool? Honestly, I think a lot of it was about fear. Fear of losing them to the mentality of public schools. Fear of losing them to their peers. A desire for them to be able to pursue their strengths, as clearly our boys were brilliant and would have lots of strengths. A desire for them to learn what we thought was important. A desire for close family relationships. A desire to pass along our values. I wouldn't have articulated it that way at the time, though. Over the decades, those reasons have shifted, with some becoming more important, and with other reasons worming their way in. I'd tell 1998 me to really hang onto the ideas about family relationships and values. I'd reassure that me that fear isn't going to carry her through. I'd roll my eyes about the brilliance of her kiddos, but catering to their strengths is still a reason that I have for homeschooling. It's just that now I've learned a bit more about catering to their weaknesses too. We want to tailor learning to each child's strengths *and* weaknesses. We want to enjoy this short time in life known as "childhood." We want theology and values to be a part of education. We want learning to be a natural, normal part of life. I can't help but wonder what the me of 2038 would have to say to the me now. In twenty short years, Trina will be the age of that young me pictured above, and the boys will be even older. I'd like to think that 2038 me won't be rolling her eyes at my current reasons. But "me" of any year has always been pretty good at eye-rolling, so she'll probably find something. 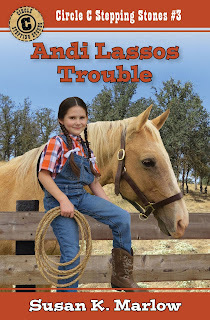 I am so excited to review Andi Lassos Trouble and Andi to the Rescue by Susan K. Marlow. These are the next two books in the Circle C Stepping Stones series. Susan has written books about a delightful girl named Andi (or Andrea when she is older), and has four different series available. Beginnings features a six-year-old Andi for ages 6-9, Adventures features a 12-year-old Andi for ages 9-14, and Andrea goes from age 14 to 18 in the Milestones series for ages 12 and up. These books, in the Circle C Stepping Stones series, are books about Andi meant for 7-10 year olds. There are definitely more words than in the beginnings series, but there are still quite a few illustrations. These are a pretty easy read for my daughter, who will be 12 next month, but she loves Andi and still thinks these books are great. She told me that she thinks she and Andi would be really good friends. I love that in a book character, I really do. "When the Circle C ranch decides to host a rodeo competition with two other ranches, dozens of cowboys are eager to prove they're the best riders and ropers in the valley. But they're not the only ones who want to show off their skills--Andi aims to lasso her way to the prizes, even if big brother Chad says the contest isn't for kids. The roundup is meant to be a time for food, fun, and friendship. 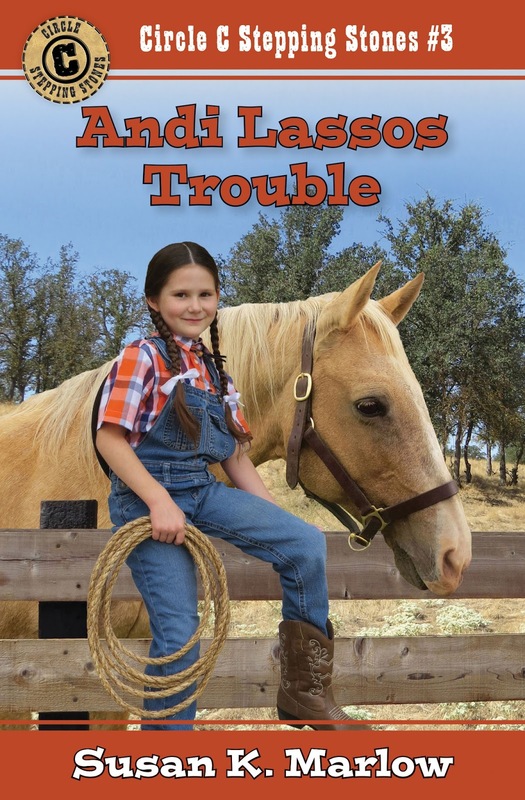 But before Andi can prove she's got what it takes to be a real cowgirl, the day turns dangerous. Will a friendly rodeo turn into a range war between ranchers and sheepherders? Can Andi and her family keep their neighbors--and themselves--safe?" "This is so embarrassing. Andi's teacher, Miss Hall, is sick--and Mother is the substitute teacher. What will Andi's friends think? Now they're being held in a remote cabin until Mother can teach the man in charge how to read--and he's willing to go to any length to make it happen. Andi must escape and find help. 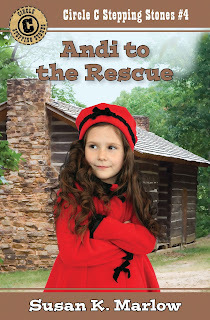 But can she lead a rescue party back to Mother before the outlaws take their new teacher--and disappear forever?" My take: Andi is a delight. She is mischievous, and certainly gets into her fair share of trouble, but she is endearing and generally repentant. You know, a typical kid. I like her, and I seriously love that these books grow with Trina. I am wanting to purchase the Adventures books for Trina's birthday, and going over all of this again has me thinking that I have to do that. The other really amazing thing is that if you visit the Circle C Adventures page, you can download some fantastic activity pages for each book. These are a great way to learn a bit more as a school assignment, or even just to learn more in general. If a child is reading these for fun, skipping some of the more school-like pages is a great idea. That still leaves a number of really neat things to do or to learn about. Some of the pages give more information about something that happened in the book. For Andi Lassos Trouble, there is a page giving more background on what a roundup is, for instance, followed by a word game activity. There is also a page about the first cowgirl, and an activity that has you comparing Andi to that first real cowgirl. Some activities are a lot more hands-on. For Andi to the Rescue, there is a section on schoolyard games that includes things like jump rope (including some chants), hopscotch, jacks, and red rover. This book also has an activity that involves doing some mapwork for the country of Mexico. For those who really want to get into this, there are also lapbooks available for purchase. Which is something else I'm actually considering. I cannot possibly say enough good things about these books. I don't exactly make New Year's resolutions, but in December, I was looking for something to help me to systematically work through the Bible. 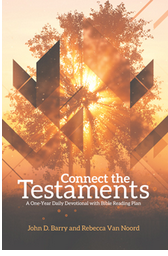 I intended to start right away, not worrying about a January 1 date, but then I ran across a book, Connect the Testaments: A One-Year Daily Devotional with Bible Reading Plan, through Logos. It has a 365 day reading plan with a reading for every day from the Old Testament, from the New Testament, and from somewhere else -- basically the wisdom literature. In January, you start off with Genesis, Matthew, and Ecclesiastes. In addition to the suggested Bible readings, there is a short devotional related to one (or more) of the passages. I decided to start on January 1 after all. This story raises the question, “Will we use Scripture to defend our own positions, or use it to defend God’s?” It’s easy to quote Scripture only to defend our personal theological position. Sometimes we are too focused on being “right” and not necessarily on helping other believers. However, while we might believe that being “right” will ultimately help them, it’s possible that we’re inhibiting the gospel message instead. We might even be the one driving them away. John Barry ends the day with a question -- "How do you need to change the way you’re using Scripture?" That is something to think on.